Govardhan Singh of Jatro village in Balrampur district of Chhattisgarh had faced a lot of trouble irrigating his fields. For the farmers like him, it was a continuous problem. Because of this problem the farmers could harvest only one crop per year. The large areas of farmland in the village were not being utilised for the rabi crop. However, Govardhan and other farmers are no longer facing this problem thanks to the steps taken by the district administration. 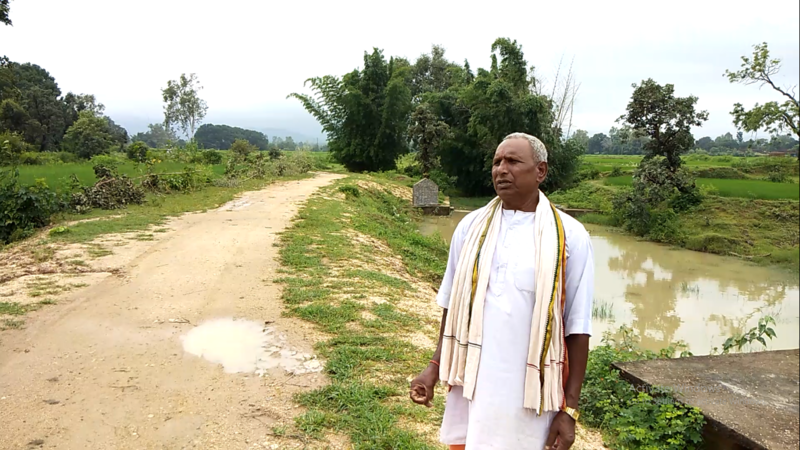 It was noticed by some officials that the water crisis in the farmlands at Jatro can be solved by utilising the water in the big canal passing through the village. The canal had water flowing in it throughout the year but that water was never utilised. A project was submitted in this regard and it was accepted by the government. A stop dam and a bridge were constructed on the canal under the MGNREGA. Another stop dam which was already on the canal was also renovated. 200 villagers worked relentlessly on the project for two months. The entire project was completed at a cost of 42 lakh rupees. The project served three purposes. Firstly, it helped the farmers to irrigate their fields. 190 hectares of land on both sides of the canal could now be irrigated easily. Secondly, it also served the purpose of water conservation and the water level of the area could be protected. The construction of the bridge, on the other hand, helped reduce the distance between Jatro and the nearby village. Earlier the people had to take a longer route to the village. The new bridge reduced the travel time to two third. Govardhan is now irrigating his fields with ease and is harvesting two crops. It is now easy for him to harvest the Rabi crop as well. 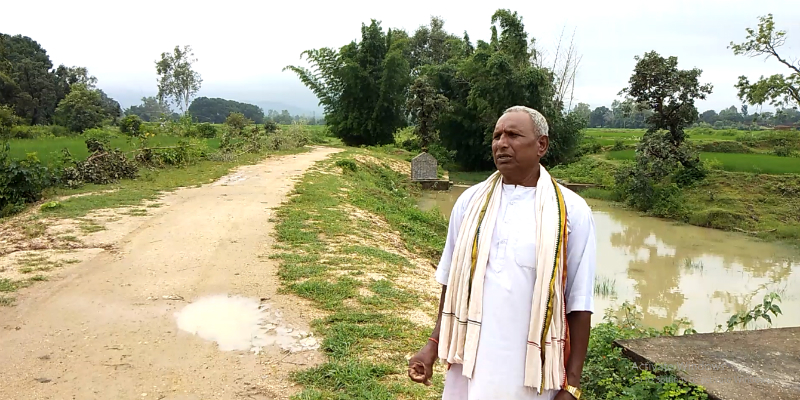 “Because of this stop dam, I am not facing any crisis of water for my fields. I am cultivating paddy, wheat and many other crops. Now we have water all the time. I am hopeful that soon we will be able to harvest three crops. It is very profitable now.” Says Govardhan. Before the construction of the dam Gobardhan’s earnings from the field were barely enough to meet the expenses of the family. But now he is making significant profit and that is a major relief for him. “Earlier we were not able to utilise all our resources here. The farms are fertile but our harvest was not satisfactory. There is no dearth of water but it was also useless. Now we are using all the resources and it is a boon for us.” He says. Govardhan is all praise for the administration for taking up the project. “It is a great step. It has helped the farmers survive. Otherwise it would be difficult for us to survive in the next few years. Apart from increased profitability from the fields the project has also helped us in other ways. The travel time to the nearby village has been reduced drastically because of the bridge. It is now easier to get farm labourers too because of this bridge.” He says.